Has a writer ever inspired as many adaptations and references as William Shakespeare? In the four hundred years since his death, his work has patterned much of the fabric of world literature and seen countless permutations on stage and screen. Less discussed are the visual representations of Shakespeare in fine art and illustration, but they are multitude. 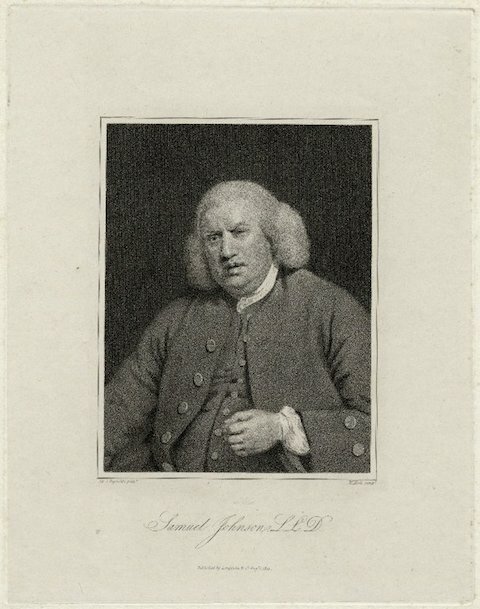 In one small sampling, Richard Altick notes in his extensive study Paintings from Books, that “pictures from Shakespeare accounted for about one fifth—some 2,300—of the total number of literary paintings recorded between 1760 and 1900” among British artists. 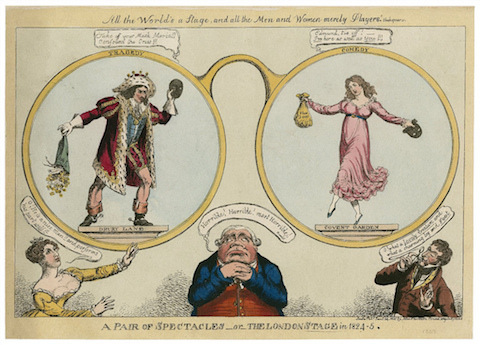 In the period Altick documents, a rapidly rising middle class drove a market for literary artworks, which were, “in effect, extensions of the books themselves: they were detached forms of book illustration, in which were constantly assimilated the literary and artistic tastes of the time.” These works took the form of humorous illustrations—such as the As You Like It-inspired satirical piece at the top from 1824—and much more serious representations, like the undated Currier & Ives Midsummer-Night’s Dream lithograph above. 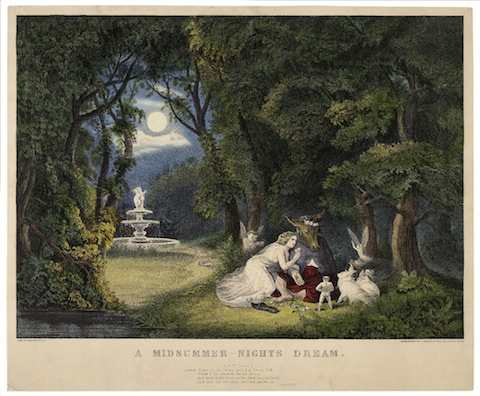 Now, thanks to the Folger Shakespeare Library, these images, and tens of thousands more from their Digital Image Collection, are available online. And they're free to use under a CC BY-SA Creative Commons license. 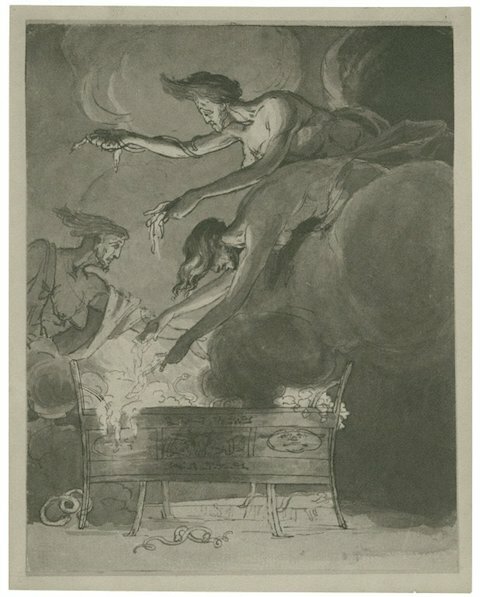 In addition to illustrations and memorabilia, the Folger contains “some 200 paintings” and drawings by fine artists like “Henry Fuseli, Benjamin West, George Romney, and Thomas Nast, as well as such Elizabethan artists as George Gower and Nicholas Hilliard.” (The striking print above by Fuseli shows Macbeth’s three witches hovering over their cauldron.) 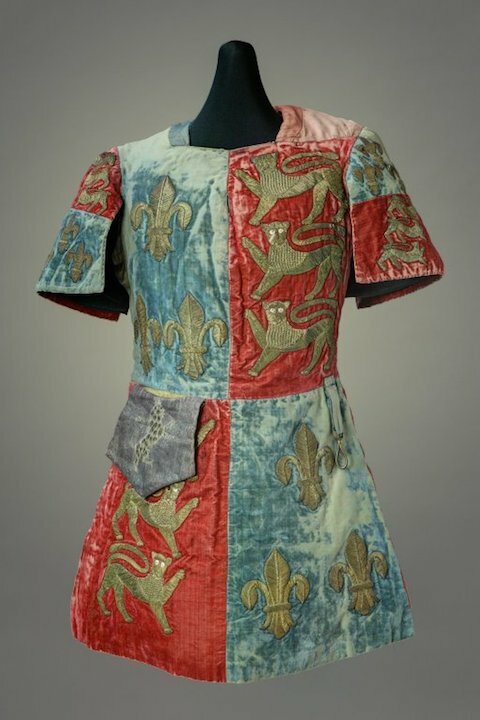 Great and varied as the Folger’s collection of Shakespearean art may be, it represents only a part of their extensive holdings. 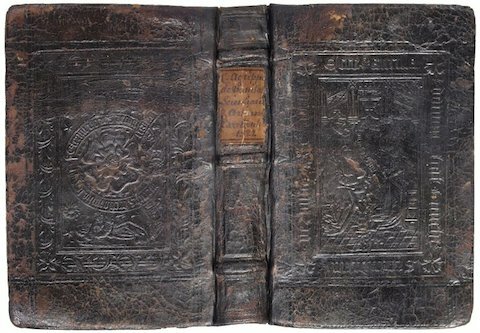 You’ll also find in the Digital Images Collection images of antique bookbindings, like the 1532 volume of a work by Agrippa von Nettescheim (Heinrich Cornelius), below. The collection's enormous archive of 19th century prints is an especial treat. Just below, see a print of that tower of 18th century learning, Samuel Johnson, who, in his famous preface to an edition of the Bard’s works declared, “Shakespeare is above all writers.” All in all, the immense digital collection represents, writes The Public Domain Review, “a huge injection of some wonderful material into the open digital commons.” Already, the Folger has begun adding images to Wikimedia Commons for use free and open use in Wikipedia and elsewhere on the web. And should you somehow manage, through some voracious feat of digital consumption, to exhaust this treasure hold of images, you need not fear—they’ll be adding more and more as time goes on.